We are glad to meet you at our website. 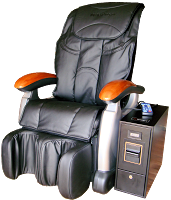 Our company's business is massage chair vending with online monitoring. We'll be glad to answer any your question.